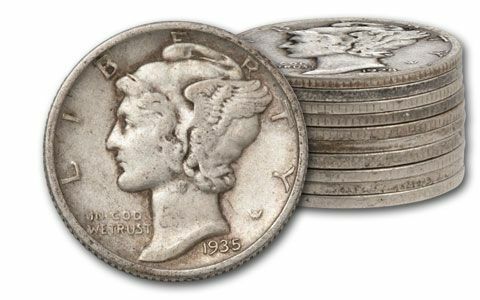 At first glance, the Mercury Dime does not feature the god of commerce, rather it’s Miss Liberty portrayed as Mercury. 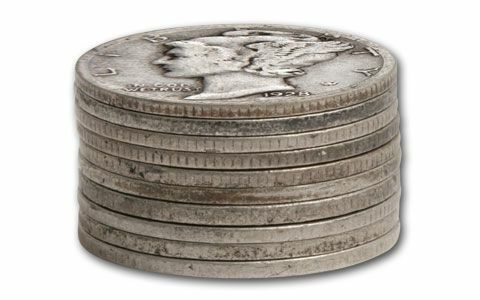 Struck more than 70 years ago, many believe it is the most beautiful coin ever produced by the U.S. Mint. 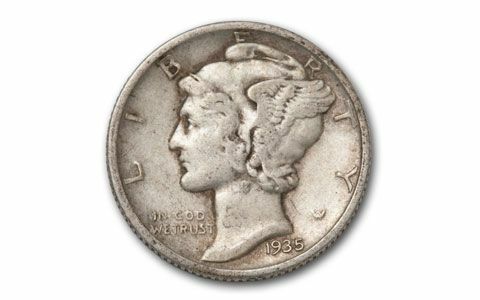 It’s called a Winged Head Liberty or a Mercury Dime. Inspired by ancient Greek and Roman art, this design represented America’s departure from a rigid and formal past. With a new spirit of vitality, change had finally arrived. 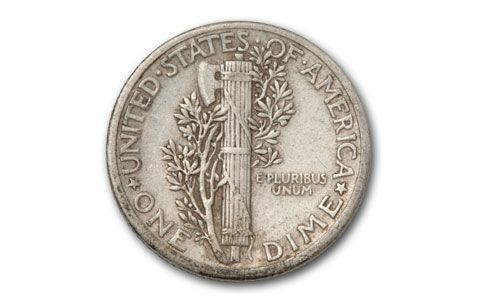 Each was struck in 90% silver and reveals the fasces, an ancient symbol of authority with a battle-ax atop it to represent preparedness and an olive branch near it, signifying love and peace. These coins circulated heavily. This is a great chance to add this American treasure to your collection in Very Good (VG) to Very Fine (VF) condition. Don’t wait. These might fly out of our inventory faster than you think! Dates vary.